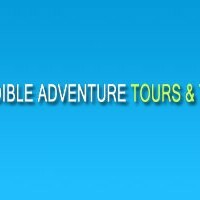 Home » Incredible Adventure Tours & Travel Pvt. Ltd. Incredible Adventure Tours & Travel Pvt. Ltd.
Nepal Airlines, the national flag carrier operates by far most comprehensive range of scheduled flights around the country. There are a number of private airlines listed below operating alongside the long -running, government-owned Nepal Airlines, so far at least, only operate on the more popular routes and considered to be offer better service and more reliable. Besides an awe-inspiring daily mountain flight culminating into an unbelievable eye-to-eye contact with the highest peak of the world- THE EVEREST. There are 44 airports in the country, including all weather, seasonal and STOL (short take-off and landing) types. Almost all major towns are served by air. The airplanes flying in Nepal are specially selected for performance in mountainous environments and are piloted by skilled and experienced hands. They can arrange all necessary international air tickets for your travel. Traveling via aircrafts in Nepal is best way to save your time, for luxurious and secure journey. All kind of tourist buses to Kathmandu, Lumbini, Chitwan National Park, Bardia National Park and to Indian boarders.